One of the first things that come to mind when Spain and, more specifically, Barcelona are mentioned is the food. And not just any food but the predominantly Spanish food of tapas. The small appetizers or snacks containing small portions of any dishes available are one of the main reasons you must visit Barcelona. A dish that was meant to be shared and started out as a kind of lid to top and protect food and drink from flies, has now evolved into something more sophisticated that spreads from underground dives to neighborhood tapas bar and to top quality restaurants. Here, we present you some of the best neighborhoods where you can eat tapas in Barcelona. The Gothic Quarter: It is one of the most famous neighborhoods in Barcelona and is situated in the center of the city. In El Barrio Gotico you can see medieval remains since the area was the epicenter of many historical events of the city. There is a plethora of festivals and events every year and it is always filled with people. If you wish to try tapas in this area, you should try out the Bar La Plata that has been chosen as one the best tapas place in Barcelona according to the newspaper ABC. Another one that is a must when you visit the Gothic District is the Viana restaurant that is located very close to the Plaza Real in Barcelona. 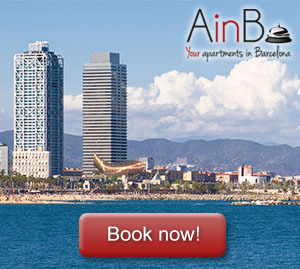 Poblenou: One of the most vibrant neighborhoods in Barcelona and very close to the sea is that of Poblenou. It is one of the most industrialized areas of the city and it is gradually becoming a hip place to be with many people moving there. One of the best restaurants for tapas there is El 58, located on Rambla. It offers a huge variety of tapas to choose from with seafood deserving an extra mention. Another one is Monopol, that serves a great variety of tapas. You can also go there if you like to play cards or board games while you enjoy your food. Gracia: Many people prefer to visit it in August where many festivals and celebrations take place. It used to be a village outside Barcelona and now young people tend to hang out in Plaza del Sol and have a drink there. In a terrace in the square make sure you visit Sol Soler, the ideal place to enjoy some tapas. When it comes to tapas, you can visit La Pepita with its walls covered in graffiti. The service is very friendly, and the atmosphere is very cool and cozy. Try all the specialties that they have or as they call them (pepitas) and when leaving you can write your own message on the wall with a marker. For all those reasons and for many more we believe that you must certainly visit Barcelona. Its food, its vibe and its people will make you want to come again and again.